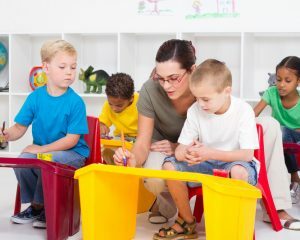 Early childhood education is important in growth and development of child’s brain. Early childhood education is important in growth and development of child’s brain. It promotes young minds, gives an opportunity to experience the joy of education, and offers the groundwork for lifelong success. In the early program, the children get aware of developmental milestones from birth to 5 years of age. It includes speaking in full forms. Copyright © 2018 by Peyton Wolcott.